At Bushey Meads School we hold many events and meetings where we rely on students to help us ensure they run smoothly, and I am lucky enough to have a group of students called the BMS Buddies to call on for each event. 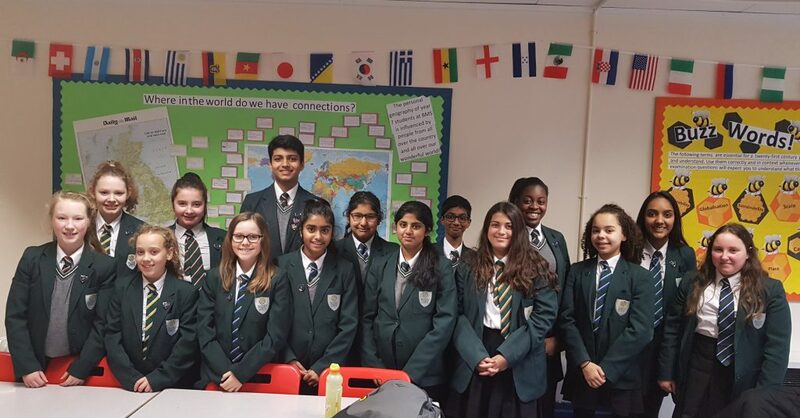 The role of the BMS Buddies encompasses various responsibilities including helping at Parents Consultation evenings by serving refreshments and greeting guests, hosting tours of the school with prospective students and visitors. A key responsibility is supporting the transition team during the transition process of the prospective year 7 students. Year 6 students have the unique opportunity to visit the school and have a meeting with key members of staff, the meeting entails familiarising the year 6 students with the expectations at Bushey Meads, ask any questions they may have. Part of this process is for them to have a discussion with our BMS Buddies; our buddies are on hand to discuss any worries they may have and answer any questions. Year 6 students and their parents have found this very useful as the students have recently experienced transition and are in the best position to help. the ‘Best of Me’ folder – a folder which contains the best pieces of work they have produced at primary school in various subjects. Me Capsules – a box containing interesting items that represent them, these are then showcased to their form groups. Book Report – students read a book over the summer holidays and then write a book report. On Tuesday we held our first meeting and discussed all the upcoming events that will be taking place. The Buddies discussed and assigned the events that they would be supporting. The BMS Buddies will be meeting every 3 weeks to discuss upcoming events and undertake training. The BMS Buddies look forward to seeing you at the next event!